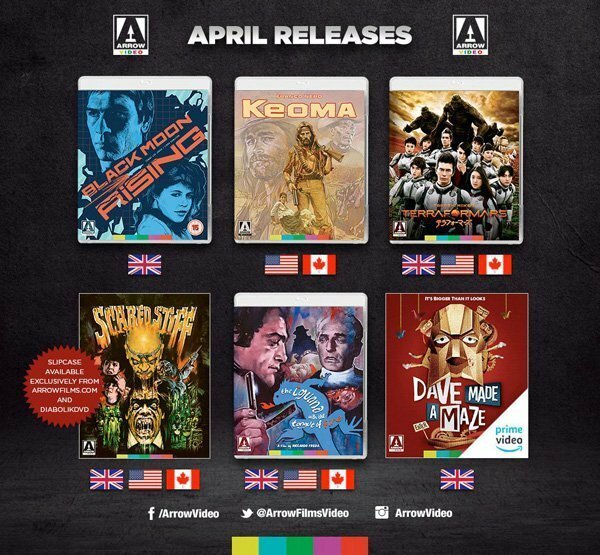 Arrow Video April 2019 Blu-ray Titles - John Carpenter? Home » Arrow Video April 2019 Blu-ray Titles – John Carpenter? It’s time to find out what Arrow Video have up their sleeve for April in terms of Blu-ray releases. First off there’s another four films heading to the UK with the pick of the bunch in my opinion at least being the sci-fi, action-thriller Black Moon Rising (1986). April also sees an Italian giallo and an eighties American horror. Let’s take a closer look, here are the details of those upcoming Arrow Video April 2019 Blu-ray releases. Black Moon Rising (1986) is a sci-fi, action-thriller written by none other than John Carpenter. He didn’t however direct it, that honour went to Harley Cokliss. The cast isn’t bad though with Tommy Lee Jones, Linda Hamilton and Robert Vaughn all starring. I know what you’re thinking, who provided the music? Well it wasn’t Carpenter, but it was another great, any ideas? I’ll put you out of your misery, it was Lalo Schifrin. I have to admit I don’t recall seeing this one but look forward to taking a look sometime soon. Anyway the good news continues as it has undergone a “Brand new 2K restoration of the film from the original 35mm interpositive”. It releases in the UK on the 8th April 2019. There are three films that are set for release in the UK, USA and Canada. Terra Formars (2016) is a Japanese science fiction film directed by Takashi Miike. Meanwhile The Iguana with the Tongue of Fire (1971) is an Italian giallo from director Riccardo Freda. Lastly is Scared Stiff (1987) a horror film from director Richard Friedman. These titles come out a day later in the USA/Canada from the dates listed above. April sees only one USA/Canada only title Keoma (1976) an Italian Spaghetti Western film from director Enzo G. Castellari. No there’s no Eastwood in sight, this one stars Franco Nero. You can pre-order now over on Amazon or direct from Arrow Video’s website. There’s been some good news on the high street front with HMV being saved. Whether these titles will be available in store or online is too early to tell. Hopefully they can get back up and running and sort out deals with suppliers so they can obtain the latest releases as soon as possible. At the time of writing their online store was still not back up and running. That concludes the upcoming Arrow Video April 2019 Blu-ray films, I intend at some point to review Black Moon Rising (1986) which I’ll leave you with the original movie trailer for, remember the story is by John Carpenter. As for the rest of the upcoming releases I’m not too sure, maybe the Italian giallo, The Iguana with the Tongue of Fire (1971) is worth a look. Could it be in the same style as the master of the genre Dario Argento? Well it actually came out a year after Argento’s The Bird with the Crystal Plumage so maybe Riccardo Freda has taken onboard some elements. I may just have talked myself into watching this after all. Note: The Amazon links on this page for ‘Arrow Video April 2019 Blu-ray Titles’ are affiliate / associate links. 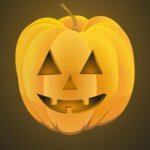 By buying through the links we may receive a commission for the sale. This has no effect on the price you pay.